Set of 4 Handmade Cut Glass Citrus Orange Coloured Large TumblersDesign: Monogram Citrus Orange This exquisite set of 4 handmade rock glassware cut in citrus orange Monogram pattern is the perfect adornment to your table decoration. The Old Fashioned glass or rock glass is a short tumbler used for serving tan spirits, such as whisky, with ice cubes. It is also normally used to serve cocktails, such as the Old Fashioned, from which it receives its name. Classic yet contemporary, these unique tumblers will add so much style to your table decoration and home décor. Great for gifting such as weddings, anniversaries and birthday presents as well as festive celebrations such as Christmas, New Year and dinner parties. 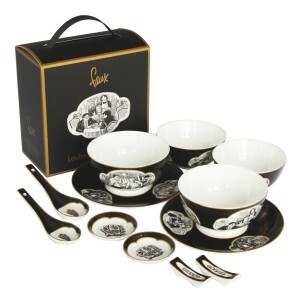 A 12-piece fine bone china Chinese dining set for 2 in black designed by Louise Soloway Chan. 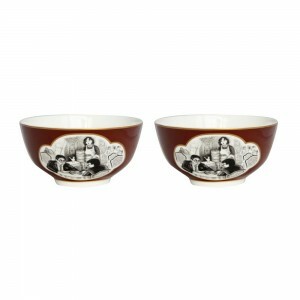 The boxed gift set includes 2 side plates, 2 Soup bowls, 2 rice bowls, 2 soy sauce dishes and 2 chopstick holders. The designs features characters and illustrations taken from the artists installed artworks in Sai Ying Pun MTR based on the districts street life. 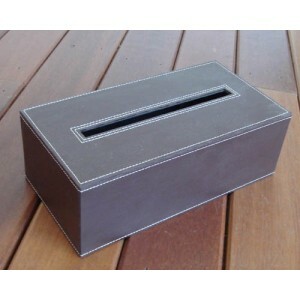 faux's leather tissue boxe covers are a stylish way to disguise those awful regular tissue boxes, and make a perfect fun and funky gift. Set of 4 Handmade Cut Glass Garnet Coloured TumblersDesign: Barely Garnet This exquisite set of 4 handmade cut glassware in garnet Barley design, are the perfect adornment to your table decoration. The Old Fashioned glass or rock glass is a short tumbler used for serving tan spirits, such as whisky, with ice cubes. It is also normally used to serve cocktails, such as the Old Fashioned, from which it receives its name. Classic yet contemporary, these unique tumblers will add so much style to your table decoration and home décor. Great for gifting such as weddings, anniversaries and birthday presents as well as festive celebrations such as Christmas, New Year and dinner parties. 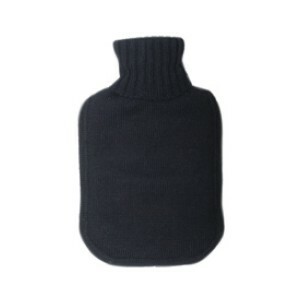 We also offers the ultimate in luxury, our stunning Alpaca Hotwater Bottles are so soft to touch and make the perfect gifts for someone who has everything. 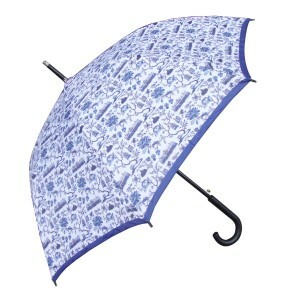 The Hong Kong Toile repeat pattern centres on a floral design by Mariko Jesse. This beautiful artist designed fine bone Cake Stand will add so much style to your table setting. The unique toile design, classic yet contemporary is timeless in every way and these elegant ceramics are a perfect addition to your home décor. Exquisitely packaged, the toile series make for perfect gifts such as weddings and birthday presents. They are also great for festive celebrations such as Christmas, New Year and dinner parties. 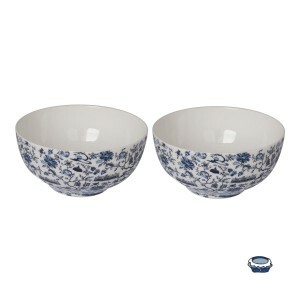 Available in classic china exportware blue and white and red and white. A set of 6 fine linen red napkins in Faux’s iconic Hong Kong Toile repeat pattern designed by Mariko Jesse. Size: 55 x 50 cm This beautiful artist designed linen Napkins will add so much style to your table setting. The unique toile design, classic yet contemporary is timeless in every way and these elegant napkins are a perfect addition to your home décor. Exquisitely packaged, the toile series make for perfect gifts such as weddings and birthday presents. They are also great for festive celebrations such as Christmas, New Year and dinner parties. 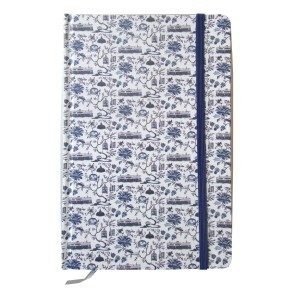 Available in classic blue and white and red and white. 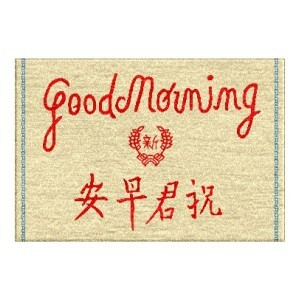 Doormat - "Good Morning "
Magdalen Wong's work focuses on discovering alternative perspectives and experiences for everyday objects, often interpreting their shape and packaging as "scores” or codes for potential actions. Her mug has been taken from a video piece recently exhibited in Osage Kwun Tong Gallery. Wong received an MFA from the School of the Art Institute of Chicago. She has performed and exhibited in the United States, Hong Kong, South Korea, China, and Sweden. She currently lives and works in Hong Kong.